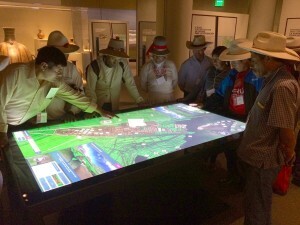 The Great Inka Road: Engineering an Empire is a comprehensive exhibition at the Smithsonian National Museum of the American Indian that explores how the Inka were able to engineer and weave together the complex road system that contributed to their swift and successful rise to power. All roads lead to and from Cusco—the ancient city at the heart of the Inka Empire which ruled over much of the South American Andes in the 15th and 16th centuries. Cusco, like the rest of the Inka road system, is an engineering marvel, planned and constructed prior to contact with the Spanish. A city founded between two rivers, the water management, hydraulic engineering, and canal system developed in Cusco created a sophisticated and functional city with such environmentally sound engineering foundations that many of the Inka structures remain today in one form or another. Exploring Cusco is a multiuser interactive exhibit at the heart of NMAI’s exhibition and it immerses visitors in a 3D reconstruction of this capital city as it looked in the year 1531, before the Spanish conquest. Image galleries, object photos, expert interviews, panoramic photographs, and 3D object datasets are layered into the experience and reveal the wonders of Cusco to visitors. 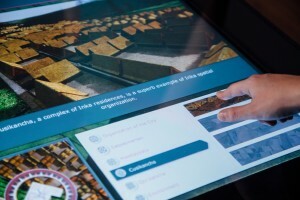 The application runs on a massive, 84″ multitouch table that enables groups of visitors to explore the interactive’s layers of rich content side by side. 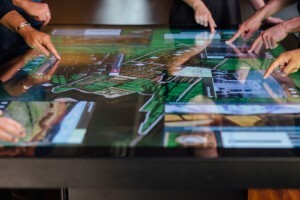 As visitors delve into and discover the stories of Cusco together, they engage socially in a way that that allows them to more fully connect with and understand the exhibition’s main messages. Over the course of 5 years, project consultants at the Universitat Rovira i Virgili (URV) de Tarragona had performed ground-breaking archaeological and architectural research on the ancient city of Cusco. 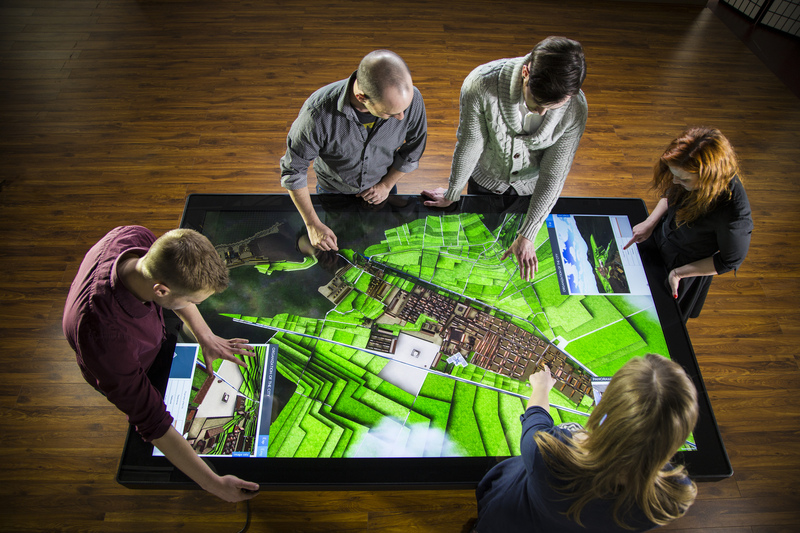 This research enabled mapping almost the entire city of Cusco. Based on that information, Ideum built from scratch the highly-detailed 3D model of the ancient city of Cusco with help from XY3D. In order to do this convincingly and accurately, the team had to imagine what this world would have looked like at the height of the Inka Empire without taking historical liberties. 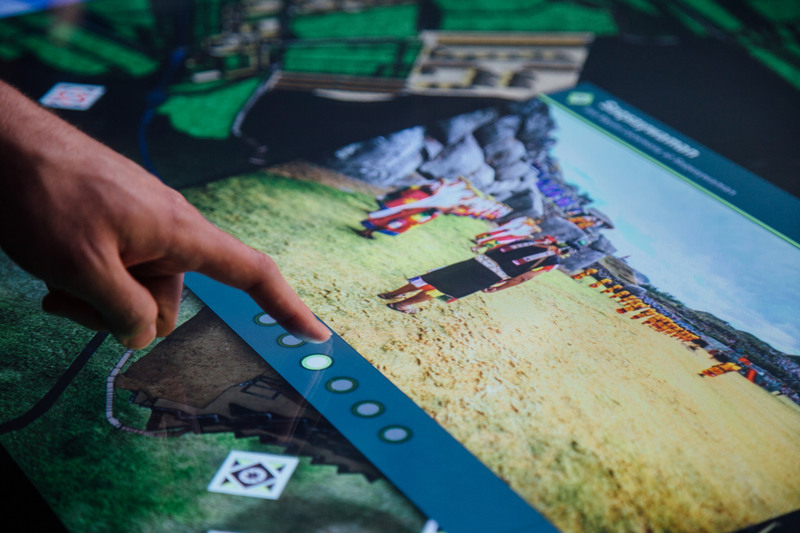 The Ideum team then put the 3D model into the Unity3D gaming engine and designed and developed a user interface for accessing the content, creating the fully interactive environment that serves to immerse visitors in the ancient world of Cusco. Exploring Cusco tells the story of the rise and fall of the Inka Empire in an unprecedented and engaging way. Each end of the 84” UHD 4K multitouch table features a “flythrough” station, where users can choose from among six differently-themed bird’s-eye view city tours. Throughout the experience, visitors tap icons to initiate a variety of media. A detailed architectural scan captured by the Smithsonian’s 3D scanning team reveals Inka masonry skill, as exemplified by the famous Hatunrumiyoc, or twelve-sided stone. Four overlay graphics highlight particular geographical and ideological features of the city. Twenty videos narrated by experts discuss the history, culture, and architecture of Cusco. Six image galleries depict various parts of the city as they appear today. A dozen 360-degree panoramic virtual reality images give visitors the sense of actually looking around Cusco and the surrounding area. Spanish and English text and video subtitles also serve to further facilitate user engagement and communication. Ultimately, each of these components is essential to linking past and present, and exploring the rich and ongoing narrative of Cusco’s history within the context of the rise and fall of the Inka Empire. The media was gathered and edited by a team from NMAI, the Smithsonian 3D scanning team, and Ideum. 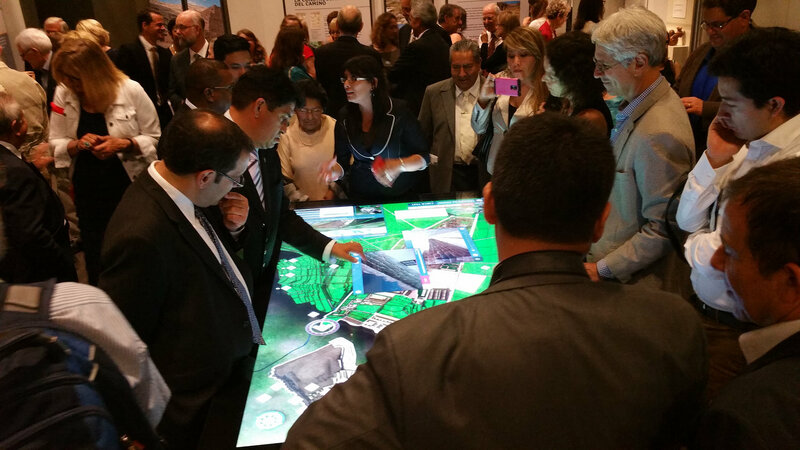 The Exploring Cusco interactive has been in almost continuous use since the opening of the exhibition where it serves as a focal point. Visitors of all ages are delighted by the interaction and spend considerable time exploring the rich content. Several interviewees who enjoyed using Exploring Cusco said they liked being able to view the city from multiple perspectives and to see the topography, which would not be possible in a flat image. 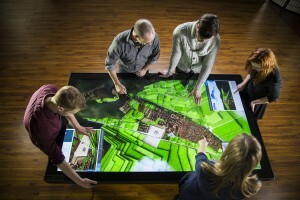 Others said they were “visual learners,” and the table generally helped them absorb the information better. Crowds gather around the Exploring Cusco interactive multitouch table. To learn more, view the Flickr album and the YouTube video.